Happy Wednesday everyone!! Wednesday has become my favorite day of the week!! 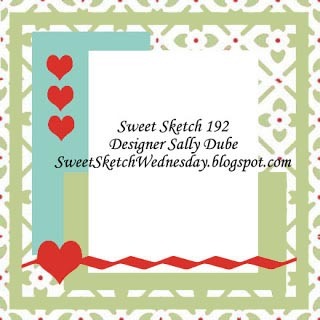 I love to check out the new Post over at Sweet Sketch Wednesday and view all the DT cards!! I really think you will love this week's Sketch and the inspiration from the Design Team will not disappoint!! I do hope you will joine us!! MilkCoffee Stamps is a digital image shop specialized in cute and girly images.There are 2 people behind this shop, Esmeralda and Nathaza. We are best buddies from our childhood with a common thing that we love so much: drawing. What we try to do is drawing various styles that suits different kind of tastes, so a lot of people with different style can still play along with our image for their cards. 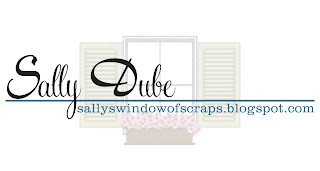 Right now we have 8 talented DT ladies who always help us to have fun together with our weekly challenge at our challenge blog here. 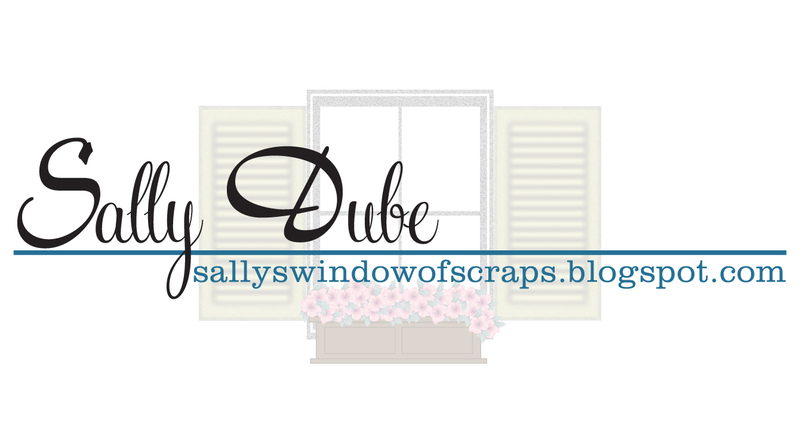 Also we have monthly colour challenge at our main blog. You can check it here. It's very nice to see a lot of people join and have fun at our challenge. In the future we still want to make more cute images that is loved and used happily by many people. Make sure to stop by the Sweet Sketch Wednesday and check out the Design Team cards!! Hope you will join in on the fun this week!! What a cute little nurse, sure to make anyone feel better. Love your fun papers. Hi Sally. I love this image. I need to get it for my daughter-in-law. I love the use of the ric rac and your color combo. I hope you are having a fabulous week. Wow, ric-rac was the ribbon of choice this week apparently! Loved it on your card and never think to use it. So cute! Super cute! I love nurses in pink! Especially the boots! Another great sketch Sally! And what an adorable card too. Love your nurse image, she is colored so beautifully! Great papers and embellishments too. Have a wonderful weekend. I adore all of the PINK! She's a real sweetheart and this is one adorable card! Hi Sally, I do love this sketch this week great job. Love your card "Pretty In Pink". Pretty papers and added embellishments. Take care and have a wonderful week. What a neat sketch and you have done a wonderful job with it. Cute card!! Just became a follower kid!